With a stay at Great Langdale Bunkhouse Hostel in Ambleside, you'll be a 1-minute drive from Lake District and 6 minutes from Harrison Stickle. 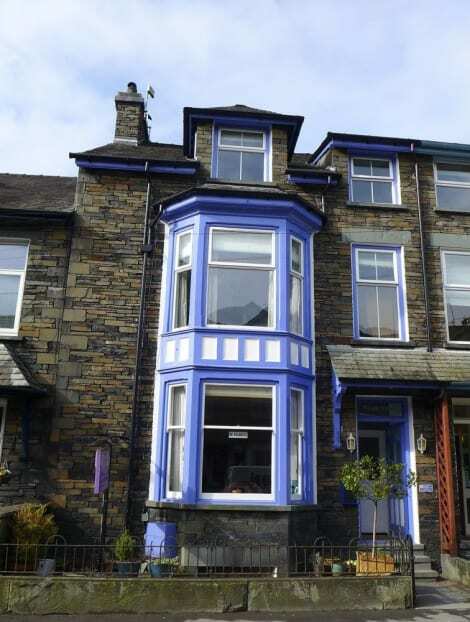 This hostel is 6.1 mi (9.9 km) from Lake Windermere and 10.7 mi (17.3 km) from World of Beatrix Potter. Situated in the heart of the picturesque Lake District National Park, Glen Rothay is opposite Rydal Water and a 20-minute bus ride from the scenic town of Windermere. Free private parking is available on site. The property is surrounded by woodland and guests can enjoy mountain and lake views. Each room at Glen Rothay comes with a private bathroom, a digital TV and tea/coffee making facilities. Free WiFi is also available. A traditional full English breakfast is on offer each morning, along with scrambled eggs with smoked salmon, and porridge. A bar menu is also available and features a selection of sandwiches, main courses and desserts. A range of local real ales and 40 whiskies are available at the bar. Local activities include hiking through the nearby hills and mountains, mountain biking and river cruises along Lake Windermere. A traditional family-run guest house in the Lake District, Brathay Lodge offers views over Wansfell and Loughrigg and is within walking distance of Ambleside’s shops and restaurants and Lake Windermere. The lodge offers free on-site parking, a generous breakfast buffet and you can relax with a drink and take advantage of the free wi-fi in the cosy lounge. 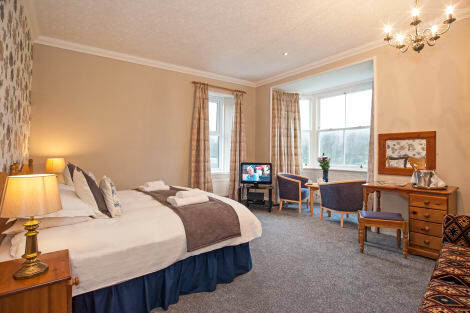 Brathay Lodge’s classic-style rooms have TVs with DVD players and private bathrooms with showers and Jacuzzi spa baths. With a stay at Ambleside Central - Guest House in Ambleside, you'll be just steps from Lake District and 14 minutes by foot from Lake Windermere. 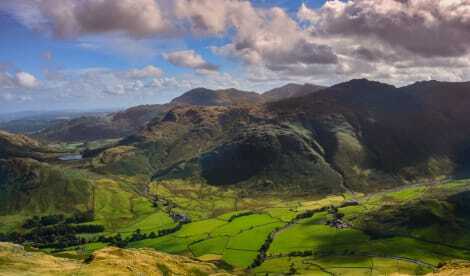 This 4-star guesthouse is 5.6 mi (9 km) from World of Beatrix Potter and 15.1 mi (24.3 km) from Ullswater. 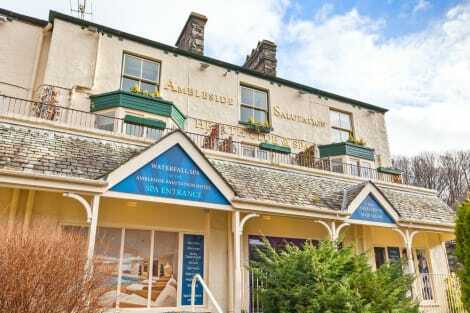 This family-run hotel overlooks Lake Windermere and has free parking, free Wi-Fi and fine food. The shops of Ambleside are a 10-minute stroll away. Each room at Regent By The Lake has a TV and tea and coffee facilities. Some have a private terrace. Ground-floor rooms are available, some with walk-in showers. The Table 22 restaurant features a modern British menu and serves fresh, local produce. Hearty Cumberland breakfasts are served until midday. Offers are available throughout the year for diners. The hotel is in the heart of the Lake District, surrounded by fells and lakes. The edge of Lake Windermere, the largest natural lake in England, is a few minutes’ walk away. When you stay at Ambleside Lake House in Ambleside, you'll be in the historical district, just steps from Lake District and Lake Windermere. This 4-star guesthouse is 4.8 mi (7.7 km) from World of Beatrix Potter and 14.4 mi (23.1 km) from Ullswater. Featured amenities include express check-out, complimentary newspapers in the lobby, and dry cleaning/laundry services. Event facilities at this hotel consist of conference space and a meeting room. Free self parking is available onsite. Take in the views from a terrace and a garden and make use of amenities such as complimentary wireless Internet access. This hotel also features wedding services and complimentary use of a nearby fitness facility. lastminute.com has a fantastic range of hotels in Ambleside, with everything from cheap hotels to luxurious five star accommodation available. We like to live up to our last minute name so remember you can book any one of our excellent Ambleside hotels up until midnight and stay the same night.